Although of Chinese origin, Taoism is universal in nature. The Tao or "the Way" is a path of spiritual development that emphasizes individual well-being, social harmony and the evolution of consciousness. It is deeply rooted in the enlightened understanding of everyday life from the awakened perspective of a fully conscious human being. The I Ching or Book of Changes is both an oracle and one of the most profound books of wisdom in the world, and provides the common source for both Confucian and Taoist philosophy. 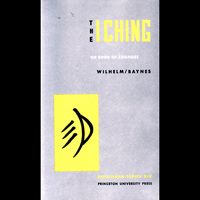 Richard Wilhelm’s rendering of the I Ching into German, published in 1924, is considered one of the finest translations available. 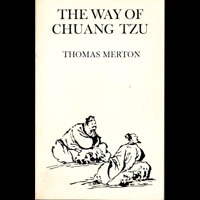 Father Merton presents a series of personal versions of the classic sayings and stories of Chuang Tzu, considered one of the most spiritual of the ancient Chinese philosophers. The sage abounds in wit, paradox, satire and penetrating insight into the human condition and the true ground of being. 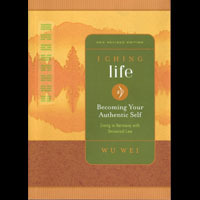 This highly regarded translation of Lao Tsu's ancient Chinese classic captures the essence of this timeless teaching. Black and white photos exploring the mystery of the natural world accompany the text. 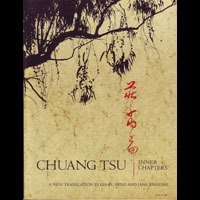 A companion volume to their translation of Lao Tzu's Tao Te Ching, the book weaves the fables and humour of the ancient Chinese sage Chuang Tsu in a wonderfully poetic and imaginative way. Black and white photos accompany the text. 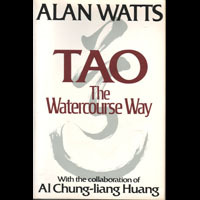 Watts draws on ancient and modern sources to examine the underlying tenets of Taoism with artfulness and insight. The treatment and approach is similar in style to his classic The Way of Zen. 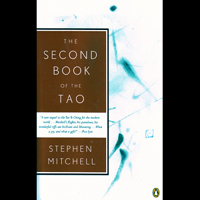 Scholar and translator Stephen Mitchell renders Lao Tzu's Tao Te Ching into eloquent English. The book is a manual of "wisdom in action" pointing to the art of living life with effortless skill. The text is attributed to Liu I-Ming, an 18th century Taoist sage and scholar of Buddhism and Confucianism. 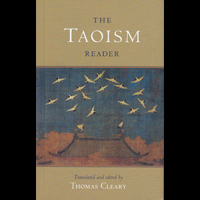 Thomas Cleary's translation is a collection of stories and meditations, using natural and mythic events as metaphors illustrating the principles and practices of Taoism. 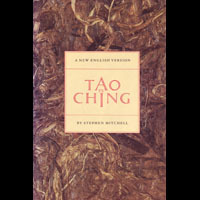 Dr. Cleary provides fresh translations of two classic books of Taoism: the Tao Te Ching and the Inner Teachings of Chuang Tsu. The text expresses the mystical and practical core of classic Taoist teachings in a manner accessible to the Western reader. The book is a commentary on the I Ching, one of the world's most profound sources of universal wisdom. Wu Wei shows how we can learn to live in harmony with the ways of the universe by applying the ancient wisdom of the I Ching to all areas of our life. Drawn from the work of Chuang Tzu and Confucius’ grandson, the book is a collection of the most profound teachings from these two students of the Tao. Scholar and translator Stephen Mitchell provides an illuminating commentary alongside each adaptation. 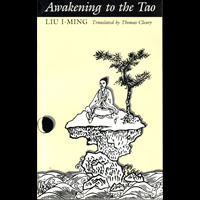 This richly illustrated book introduces the reader to the history and development of Taoism and explores the concept of the Tao or Way, the symbolism of Yin/Yang and the philosophy of classical Taoist sages. 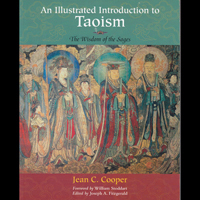 Numerous works of Taoist art accompany the text and illuminate the fundamental principles of this natural and eminently practical spiritual path. 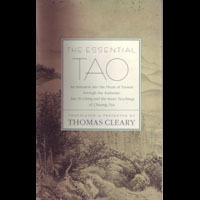 In this collection of some of the most essential Taoist texts from over a thousand years of Chinese history, respected scholar and translator Thomas Cleary provides a series of essays, dialogues, fables, legends and proverbs which reveal the fundamental teachings and inner spirit of Taoism. 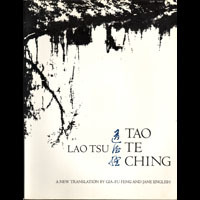 Among the selections are extracts from the Tao Te Ching by the legendary Lao Tzu and the works of Chuang Tsu, Lu Yen and other remarkable Taoist sages. 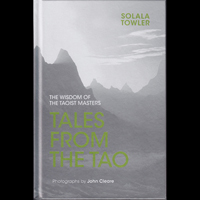 Meditation teacher Solala Towler has studied Eastern philosophy and practice for more than four decades. The stories and quotations from celebrated Taoist masters such as Lao Tzu and Chuang Tsu illuminate our basic human experiences such as birth and death, loss and gain, and surrender. Stunning black and white photographs of the mountains, waterfalls, and natural scenery of China accompany and enhance the text.